â€œI believe the children are our future, teach them well and let them lead the way. Show them all the beauty they possess inside, give them a sense of pride to make it easier, let the children's laughter remind us how we used to be. Everybody's searching for a hero, people need someone to look up to. Whitney Houston Greatest Love of all. 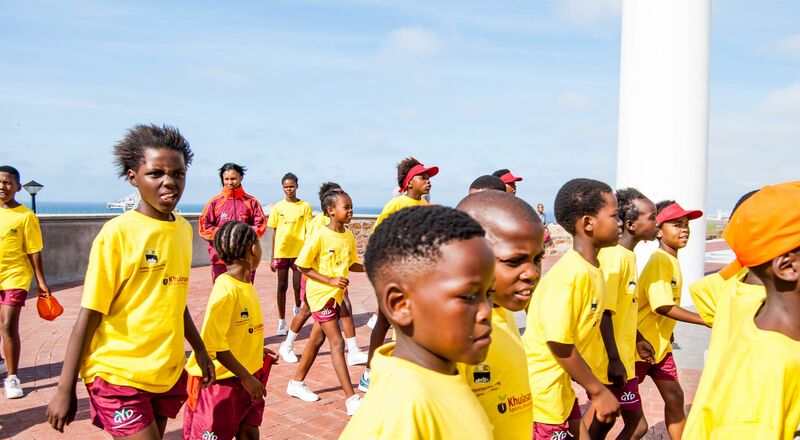 KHULASANDE Sports Development in non-profit organisation that plays a leading role in the development of athletes from a grassroots level in Port Elizabeth, Grahamstown and surrounding areas of the Eastern Cape. The creation of opportunities for youngsters to participate in oganised sports programmes. Creation of sports development programmes that will stimulate young people. Creation of sports development programmes that are geared towards producing quality sports leaders and administrators. Creating a pool of suitably qualified sports leaders to lead and carry out such programmes. As is affirmed by our name and motto, at Khulasande we aim to create and lead programmes that lead to the growth and prospering of the people we come into contact with. Our vision is to become a leading grassroots sports development organisation in the Eastern Cape, by creating sustainable programmes that aim to develop our youth wholistically. Our mission is to work hand-in-hand with organisations with specific skills to help realise our goals. Through the assistance of these organisations, we will offer and produce unrivaled programmes that will benefit athetes from previously disadvantaged communities to bridge the sports development gap that exists in our society. We believe our children hold the key to a brighter future and commit to creating programmes that are aimed at developing our youth. We are committed to making a positive difference to children's lives. We embrace diversity and encourage individuality while recognising the importance of team work. We are passionate about sports development and commit to driving our programmes with honesty, integrity and care. *Ubuntu is the capacity to express compassion, justice, reciprocity, dignity, harmony and humanity in the interests of building, maintaining and strengthening the community. Ubuntu speaks to our inter-connectedness, our common humanity and the responsibility to each that flows from our connection.